vegetarian – FOOD IS LIFE! 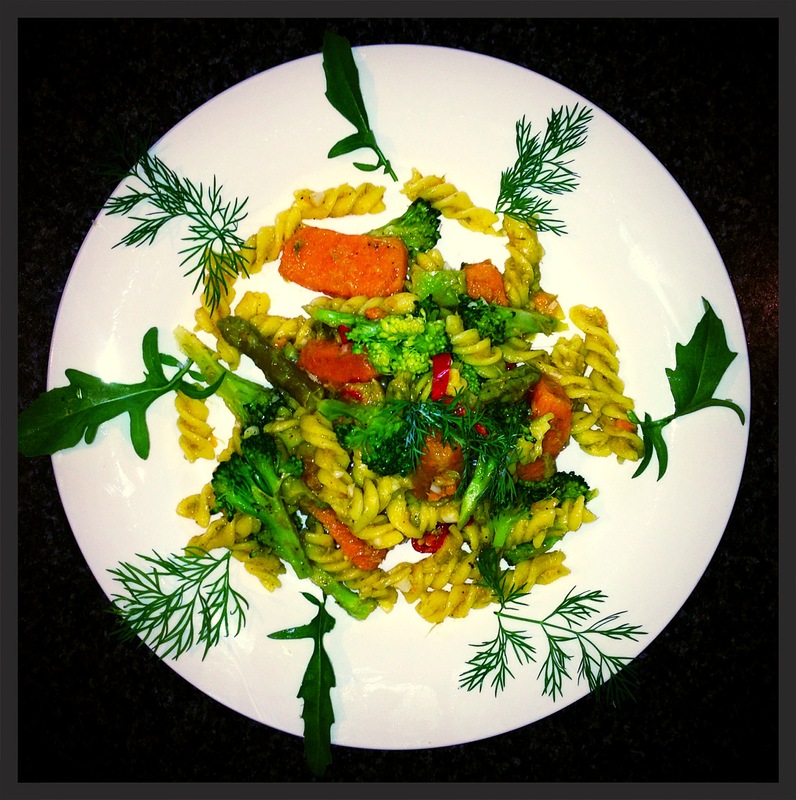 Karina’s Sweet Potato, Broccoli and Asparagus Low GI Pasta! 200g asparagus, tough bits snapped off and discarded. The remaining asparagus, boiled for 5 minutes, then pureed with 1 tablespoon of olive oil. Keep the tips of the asparagus whole. Cook pasta as per packet directions, strain water, then set aside in a large bowl. Cook your sweet potato for 10 minutes in a pot of boiling water, then turn the heat to off. Keep the water in the pot, then take your sweet potato out of the pot. Cut your sweet potato into small pieces and place in the same large bowl as your pasta. Once your broccoli are cooked, strain, then place into the same bowl as your pasta and sweet potato. Using the same pot you used to cook your pasta, turn the heat to medium, then add 1 tablespoon of olive oil and heat for approximately 10 seconds. Add your garlic and chilli, then cook for 1 minute only, until aromatic, then turn the heat to off. Once your chilli and garlic are cooked, combine your cooked sweet potato, cooked pasta, cooked broccoli, asparagus paste and asparagus pieces together using a wooden spoon, along with a pinch of black pepper and lemon juice. Mix well. Pile your pasta into three different plates, then top each with rocket and dill. 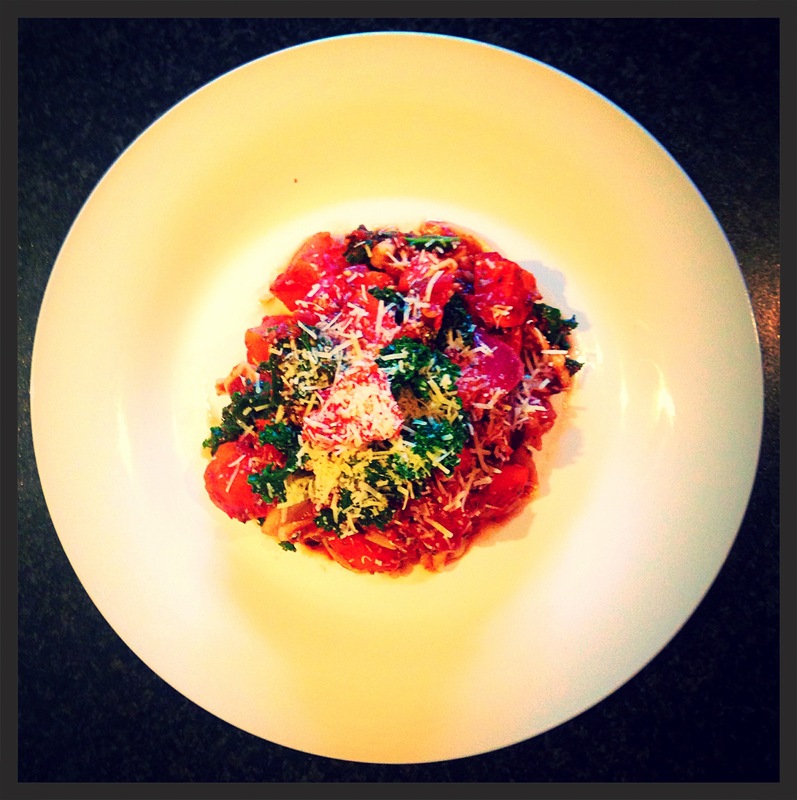 Karina’s Kale and Sweet Potato with Pasta! Using a medium sized pot, cook one tablespoon of olive oil over a medium heat, until warmed through (should only take about 10 seconds). Add your diced spanish onion, then cook on medium heat, stirring until translucent (should only take about 2 minutes). Add your grated garlic, give the onions and garlic a good stir to combine, then allow the garlic to cook for about 30 seconds. Once your onion and garlic are combined and your garlic has cooked, add your can of chopped tomatoes, balsamic vinegar, tomato paste and dried mixed italian herbs. Give everything a really good stir with a wooden spoon. Add your boiled kale, boiled sweet potato and cooked pasta to the pot. Stir very well, ensuring the Kale is evenly distributed throughout the dish. Pile your delicious, nutritious, low GI and vegetarian light meal on your serving plate. Sprinkle a fine dusting of grated fresh parmesan cheese. So, next time you buy some kale, be sure to try my recipe, otherwise, it may be ‘kaling’ you that you didn’t try it!